Have you ever heard “it’s not my job”, or “that’s not my problem”? How would you like to live in a world where you could eliminate blame, complaining and procrastination? Tune in and listen to The Unleashed Radio Hour this Thursday on Business 1110am KTEK (Streaming on line at www.business1110ktek.com) from 10am-11am (CST) where our guest and bestselling author, John G. Miller, will share with us how we can ask better questions, known as QBQ’s, and practice personal accountability at work and in life! This show promises to be OUTSTANDING! 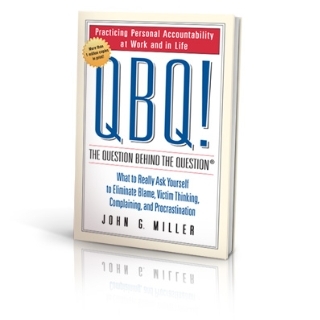 This entry was posted in Accountability, Organizational Development, Ownership, Talk Radio and tagged Accountability, Author, bestselling author, Interview, John G. Miller, Leadership, Management, QBQ. Bookmark the permalink.